Piaggio India has silently launched a new variant of the Vespa on the Indian market. Known as the Vespa Notte, the new variant of the scooter is priced at Rs. 70,285, ex-showroom, Delhi. The Vespa Notte was first showcased at the 2018 Auto Expo in Greater Noida. The scooter is based on the Vespa LX 125. The Notte translates into ‘night’ in Italian and the scooter gets an all-black theme. 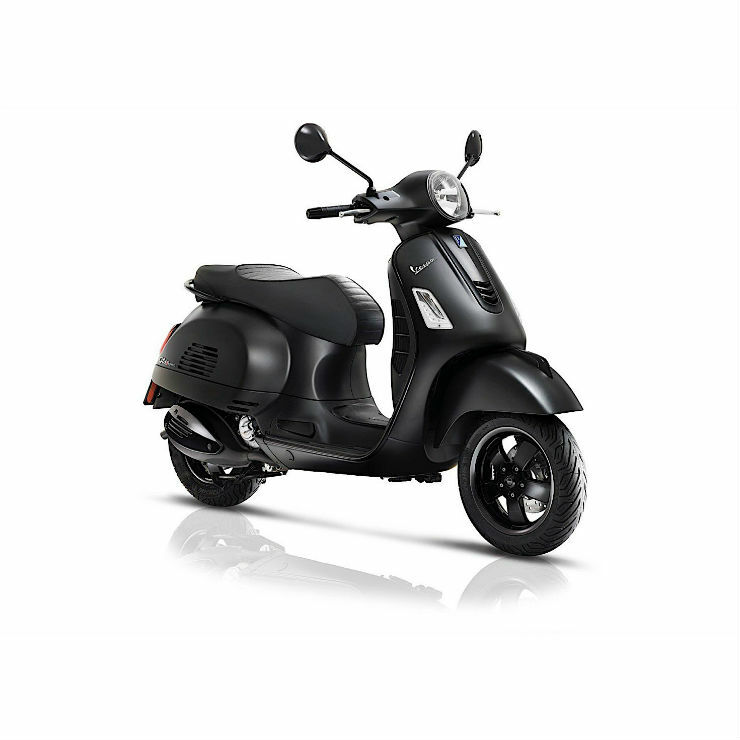 Basically, the Notte LX 125 is the blacked-out version of the Vespa LX 125 and does not get any chrome parts. It looks quite aggressive and sophisticated on the street. The scooter is available in only a single colour option, which is matte black. The chrome parts on the Vespa LX 125 are finished in gloss black on the Vespa Notte. This is a special edition which seems to have been developed for the Indian market. Internationally, the manufacturer offers Vespa GTS Notte, which is very different from the version on sale in India. Piaggio has not confirmed the launch of the scooter on the Indian market yet. However, a dealership based in Noida, UP, says that they are accepting bookings on the scooter and the deliveries will start soon. With the rise of the 125cc scooters in the market, the Vespa Notte is expected to raise the popularity of the Italian brand. Suzuki recently launched the all-new Burgman Street on the Indian market. However, the Vespa looks very different from the Burgman and apart from the similar engine capacity, both the scooters serve completely different customers. The Vespa Notte is powered by a 125cc, single-cylinder, three-valve, air-cooled engine. The engine develops a maximum of 9.5 Bhp at 7,500 rpm and a peak torque of 9.9 Nm at 6,000 rpm. The power goes to the rear wheel through a CVT automatic transmission. The Italian scooter manufacturer offers a range of retro-looking scooters in India. Interestingly, the retro-neo bikes, like the Royal Enfield, are extremely popular in India. However, when it comes to the scooter segment, the retro-neo bikes are not so popular. Many manufacturers, like Yamaha, offer their retro-neo scooters on the Indian market.